The ROIDMI RM – C – Y01EU Wireless Vacuum Cleaner’s release in the U.S. has been highly anticipated as ROIDMI is a subsidiary of the tech giant Xiaomi which is known for very high quality products. 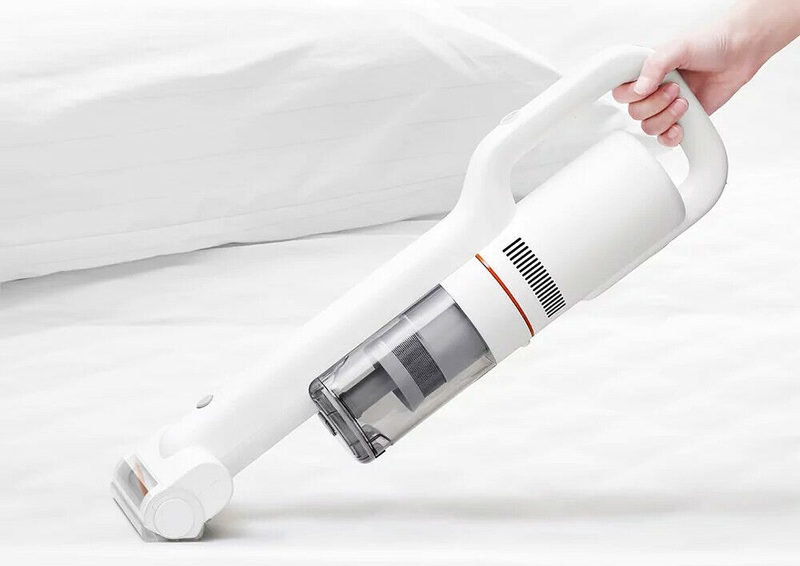 The F8 Storm has been marketed as the less expensive alternative to the Dyson V8, and after putting the F8 Storm through our tests, we can say there’s a lot to like about it. Before we get into the pros and cons, we’ll run through the features. 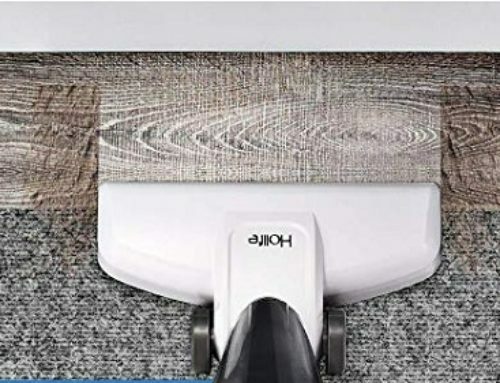 It comes with a soft roller, which we really like for hard floors, but it also comes with a standard brush roll, which is good for both hard floors and carpets, that you can change out on the floor head. Its attachment set is particularly good, including a crevice tool / dusting brush, a crevice tool hose combo, which we haven’t seen anywhere else, an extremely high-quality powered pet tool, extra filters, and an innovative magnetic charging dock. It has three power settings: low, medium, and high, but the medium power is only accessed through the app. The app also keeps up with things like when to change the filters, etc. Let’s jump into the pros. One of the most significant pros was its cleaning ability. We literally didn’t encounter a single debris field in our test that it did not perform perfectly on. With the soft roller on hard floors, it did amazing, which is not surprising. As we’ve said before, we think soft rollers are the future of vacuum technology, especially for hard floors. But the really interesting thing was its standard cleaner head. We should mention that we performed all these tests in both low and high power, and not only did it do perfectly on carpets with fine debris, but it tackled pet hair and large and even extra-large debris with the same ease in both low and high power. On hard floors, where cordless vacuums typically struggle, it, again, surpassed expectations. It perfectly picked up fine debris, including the difficult to pick up sand, pet hair, and large to extra-large debris in both low and high power. Compare this to the Dyson V8’s motor head on hard floors and you can see why I’m excited by it. 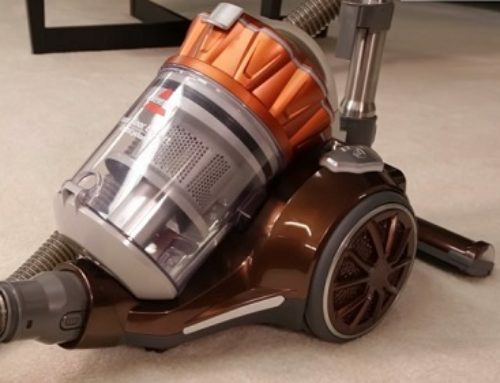 Another big pro is that it’s a sealed system with HEPA filtration which is only available with premium vacuums past a certain price range, and as you can see, it’s not very common with most cordless vacuums so it’s a big pro. Its power was a pro. We measured the suction at 80 inches of water lift which is extremely rare for a cordless vacuum. In fact, it was way higher than all the budget cordless vacuums and even most premium cordless vacuums. Its airflow was measured at 24 CFM on low, 31 on medium, and 37 on high at the wand, which, again, puts it at the top of the list for budget cordless vacuums, though slightly behind the Shark ION P50 and the Dyson V8 and V10, at least on its high power. It actually had the exact same airflow as the Dyson V10 on its low and medium power settings. We saw that its airflow was quite literally more than enough with tests like the crevice pick up test where it gave a top-tier performance. Its weight and maneuverability were a pro. Its base weighed slightly less than the Dyson V8. But we particularly liked how the handle gave you the option to hold it from the side, like for normal vacuuming, or from the top, which makes it less tiring when using it as a handheld. Most cordless vacuums do one or the other and this is the first I’ve seen with the option for both. The final pros are about its sturdy construction and looks. It feels really sturdy. All the components seem well built, and even its attachments, like the pet tools, seem extremely well designed. Besides that, it just looks cool, like if Apple decided to get into the vacuum business. PS, Apple, please, get into the vacuum business. Before we get into the cons, I’ll mention the battery life as it’s not quite a pro and it’s not quite a con. We measured it in low and high power with the cleaner head attached and got 29 minutes and 2 seconds on low power and 9 minutes and 33 seconds on high. 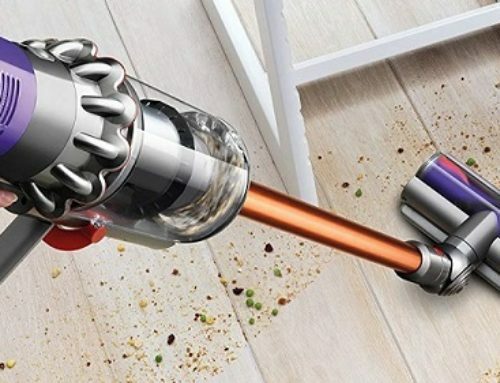 This is compared to the Dyson V8 which got 9 minutes on high and 33 minutes on low so it blows away all the budget cordless vacuums and it’s just about average for premium cordless vacuums. We didn’t have time to measure the medium power but I’ll test it later and make a note of it in the description. So moving on to the cons. Almost all my cons have to do with the dustbin. It’s pretty small at 1 in 2/3 cups. This is compared to the Dyson V8 at 2 and 1/2 cups. And though we like that it was easy to disassemble for cleaning, it is prone to debris getting stuck in the upper portion, especially with pet hair, so it’s best to just open it from the top, remove the filter, and empty it that way in most cases. Also, you do have to remove the dustbin to empty it and you have to be pretty precise when putting it back. The other con is that changing the brush roll from the soft roller to the standard roller is mildly annoying. But the bright side is that because its standard brush is so amazingly good at hard floors, there’s almost no reason to ever change it to the soft roller unless you have exclusively hard floors in your home, in which case, there’s no reason to ever use anything but the soft roller. 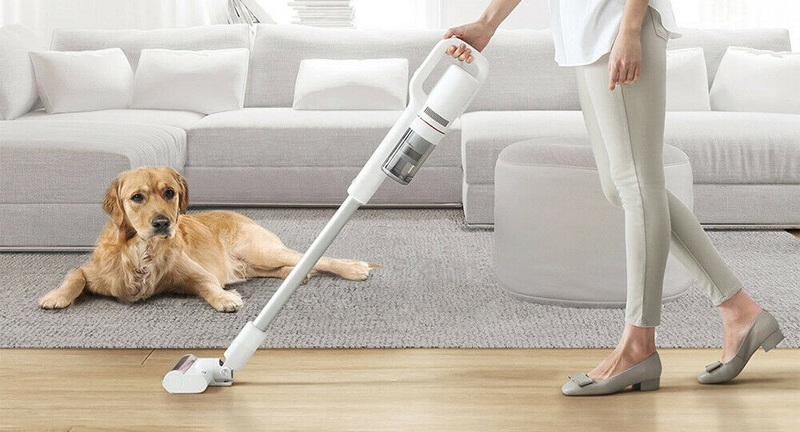 So the Xiaomi ROIDMI XCQ01RM is one of the best floor cleaning cordless vacuums we’ve tested. There was literally nothing it couldn’t pick up in our tests, which is very rare. It’s also a solidly built, completely sealed system with the best standard attachments that we’ve seen yet. It’s also the least expensive premium cordless vacuum we’ve tested.